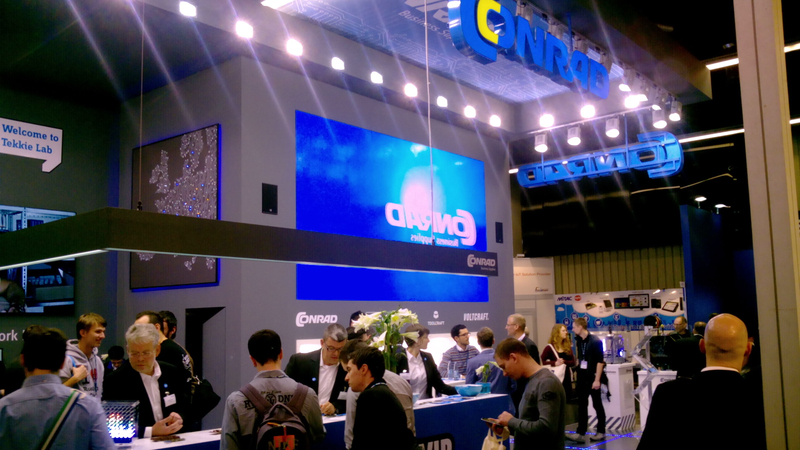 We were recently at the Embedded World Exhibition in Germany where FlowPaw was on show on the Conrad booth..
What’s great amist the sea of USB boards is that it connects seamlessly to FlowStone and just works! 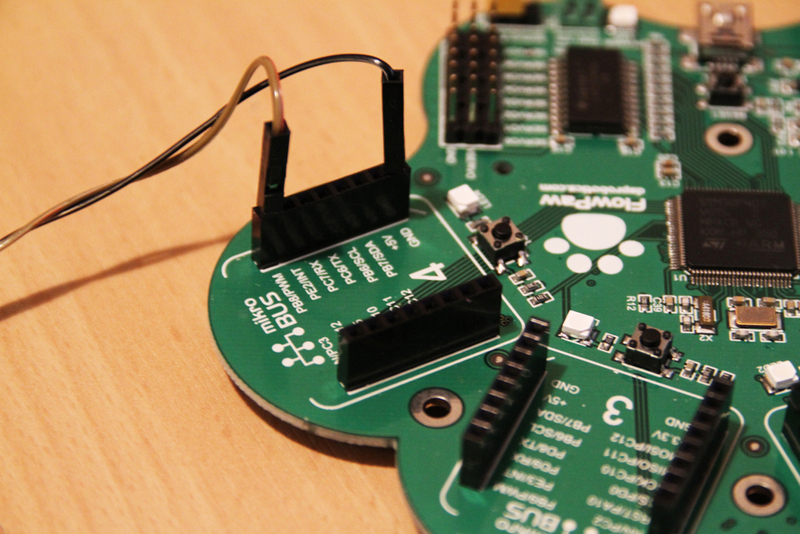 Happy Birthday Flowpaw – it was exactly one year ago that we launched FlowPaw on KickStarter and the project took off.. 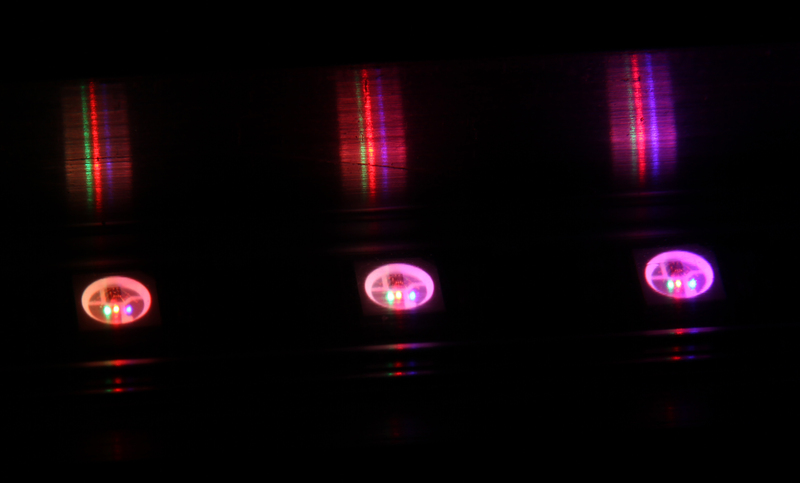 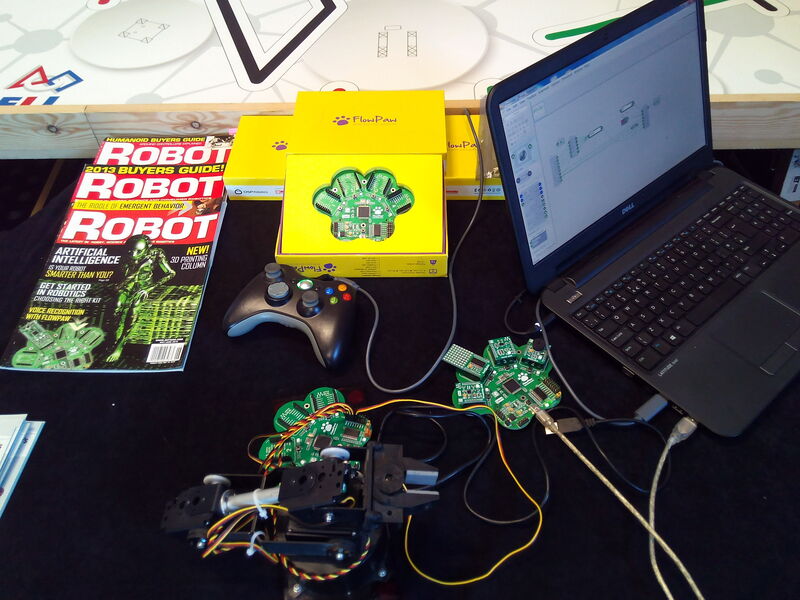 Thanks to everyone who helped this project become a success! 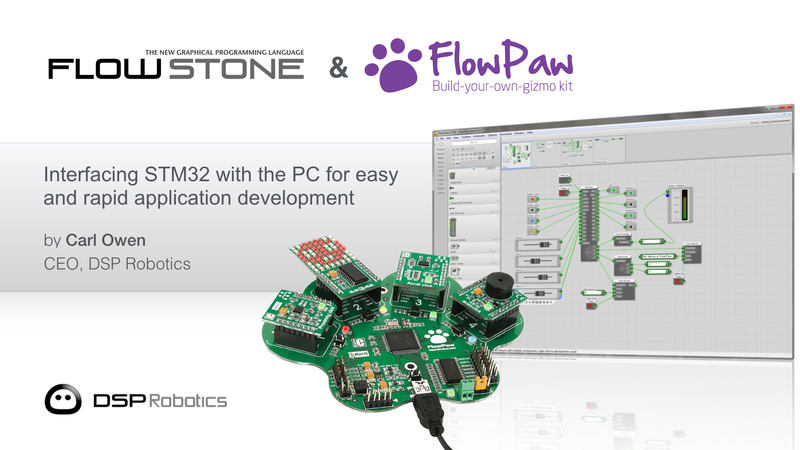 Recently Mouser Electronincs Inc. in the UK became a FlowPaw reseller. 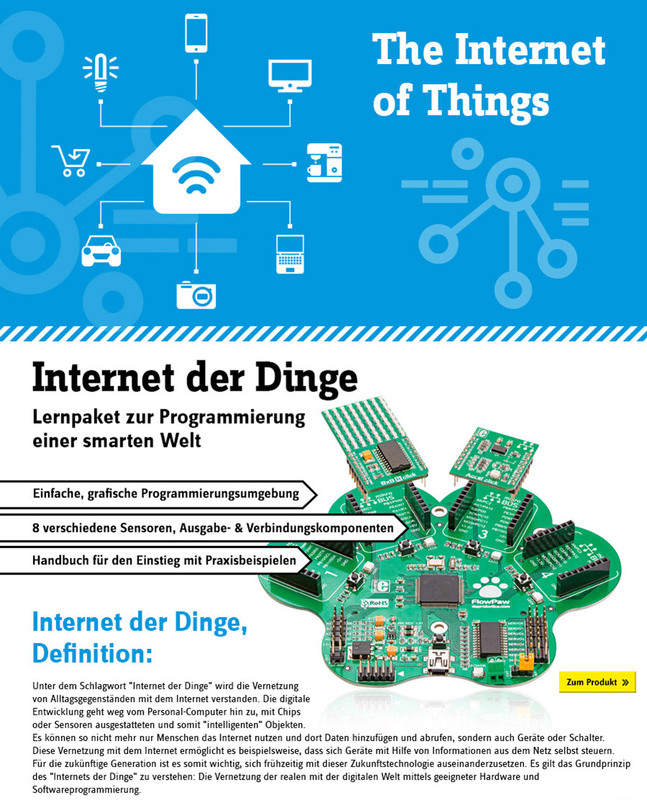 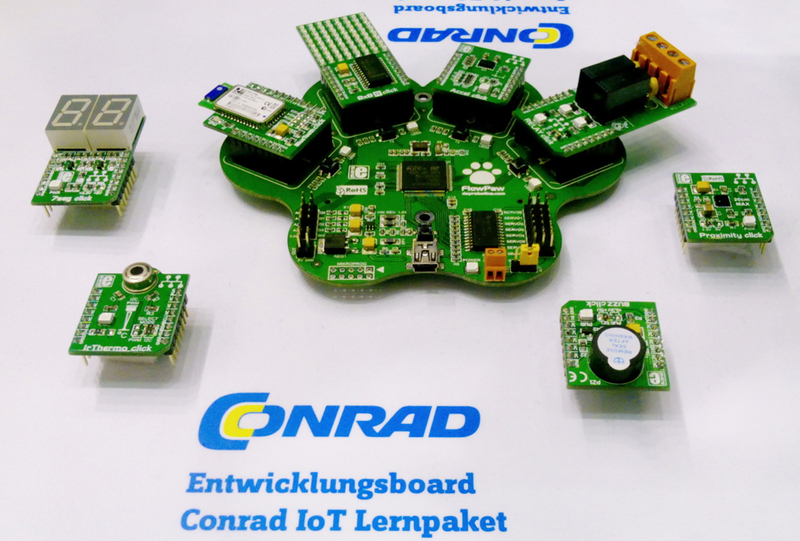 Conrad launch new German IOT kit based on FlowPaw! 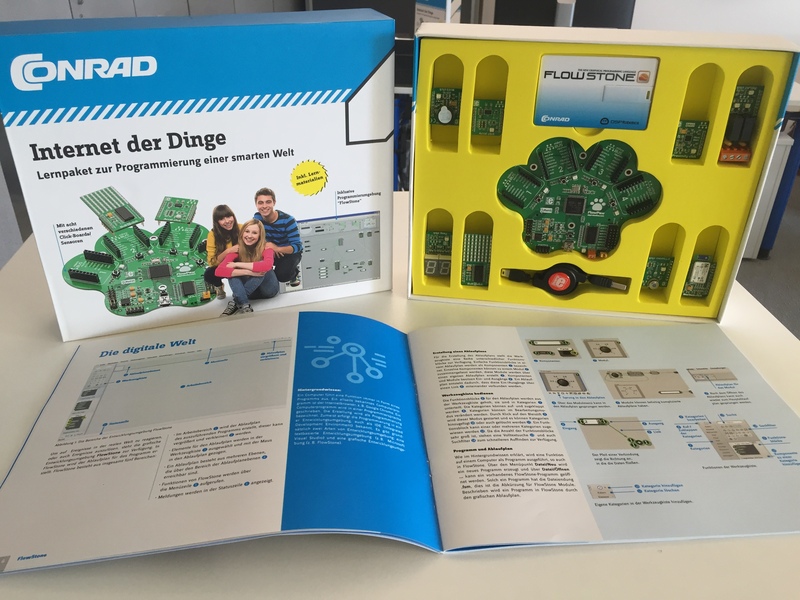 Based on the FlowPaw board and FlowStone software from DSPRobotics, and bundled with eight Click boards from MikroElektronika plus a comprehensive workbook for student and teachers. 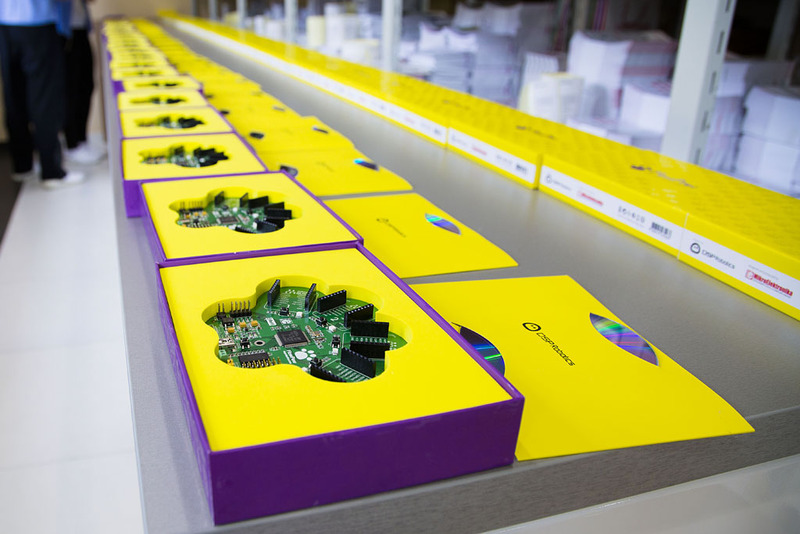 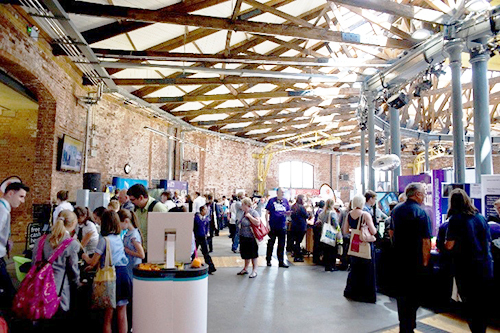 The FlowPaw IOT kit from Conrad combines graphical and text based programming together with state of the art hardware to help inspire the next generation of children to learn computer coding whilst remaining engaged and having fun. 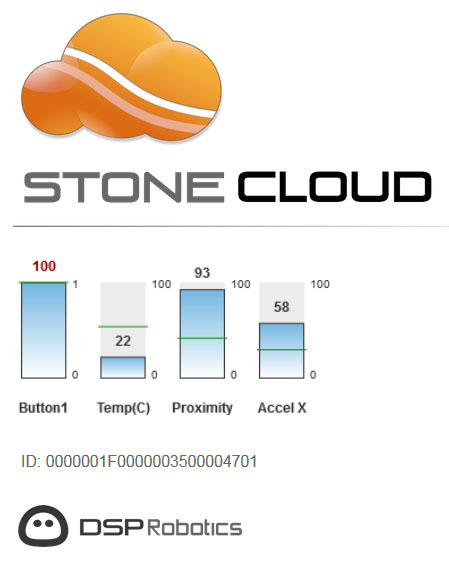 Tied together with the new StoneCloud browser based internet monitoring software from DSPRobotics, users of the new IOT kit can monitor and interact with their FlowPaw system remotely on their phones, PC’s, or tablets.